Packages mailed to De Niro’s Tribeca complex in New York City and Mr Biden’s residence in Delaware once again featured a return address of Florida Democratic Congresswoman Debbie Wasserman Schultz. The latest targets continue the trend of targeting public figures who have been vocal in their condemnation of President Trump. The crisis unfolded on Wednesday, US time, when packages containing explosive devices were sent to both Hillary Clinton and Barack Obama. This came a day after a bomb was discovered in the mailbox of billionaire and Democratic Party supporter George Soros. Explosive devices were also sent to Eric Holder, the attorney general under Obama, and to the New York offices of CNN addressed to John Brennan, Obama’s CIA director. CNN’s New York offices were evacuated in the middle of a live broadcast after the package containing a “live” explosive device and “white powder” was sent to their mailroom. 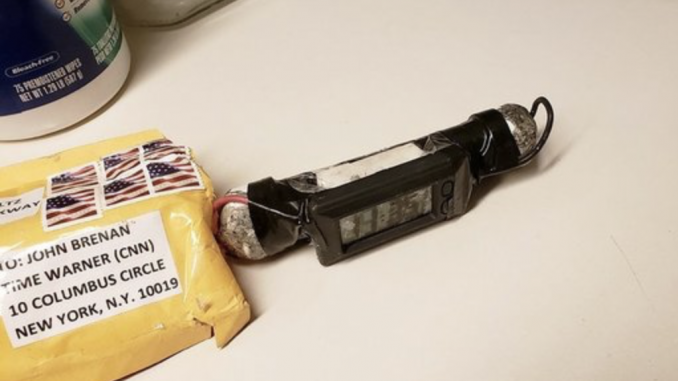 According to the FBI, the packages were all similar, containing small but potentially lethal pipe bombs. So far no suspects have been identified, but the packages have been sent to the FBI laboratory in Virginia for analysis. President Trump called for unity, saying “this egregious conduct is abhorrent to everything we hold dear”. White House press secretary Sarah Sanders condemned the attacks, promising that “anyone responsible will be held accountable to the fullest extent of the law”. Hillary Clinton thanked the Secret Service for their quick response to the package sent to her house, saying it was “a troubling time”.